Trout | Shes a ManiYak! You’re on the internet, (you are reading this, hence the logical conclusion…). You have typed the words “fly fishing” at some point. When you add together the preceding two statements, there’s great certainty that you have heard of The Fiberglass Manifesto. I first came across TFM right after buying my Hobie Outback and my first fly rod a couple of years ago. Immediately, Cameron Mortenson (the self-proclaimed Glass Geek) had my attention. I had fished fiberglass rods when I was a child, but with a hook and bobber, not a fly. 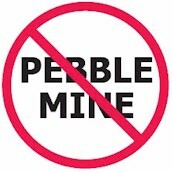 Furthermore, I had no recollection of the feeling of glass, nor how it differed from today’s graphite. My curiosity awakened, I became a regular visitor to Cameron’s blog and knew that someday I had to find out what all the commotion was. 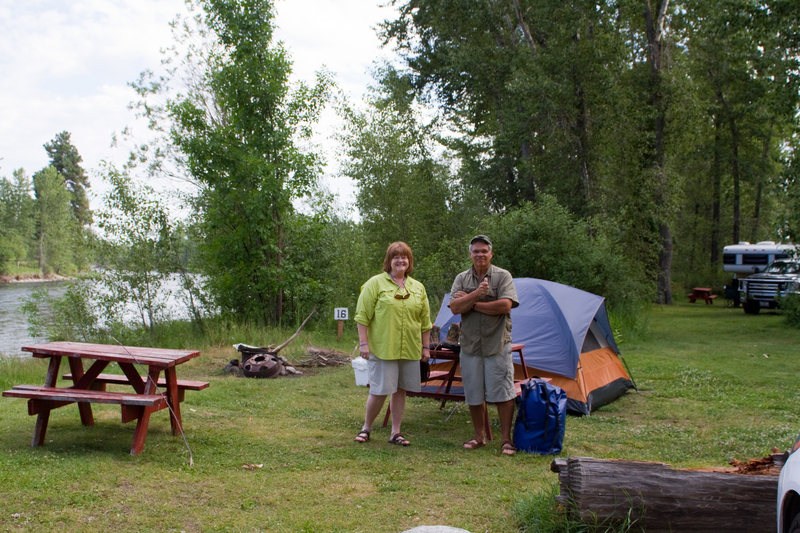 I was camping waterside (a waste to stay indoors while in Big Sky country). I was going to fish as much small water as I could. By chance, I saw a post on TFM about the T.F.M. 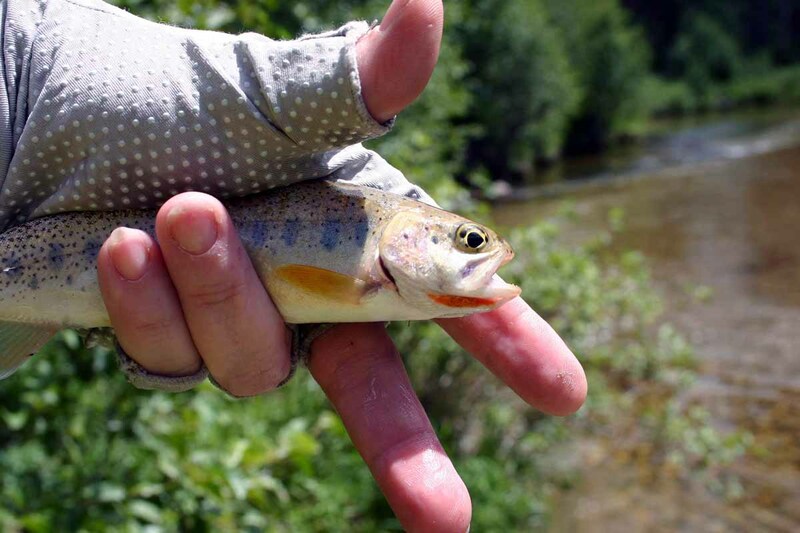 Fly Rod Loan Program, a project Cameron has implemented to let anglers demo glass rods from various rod shops. A true champion of fiberglass fishing, Cameron wants to help us make educated decisions before buying our next fly rod and promote the use of fiberglass to improve our fishing experience. 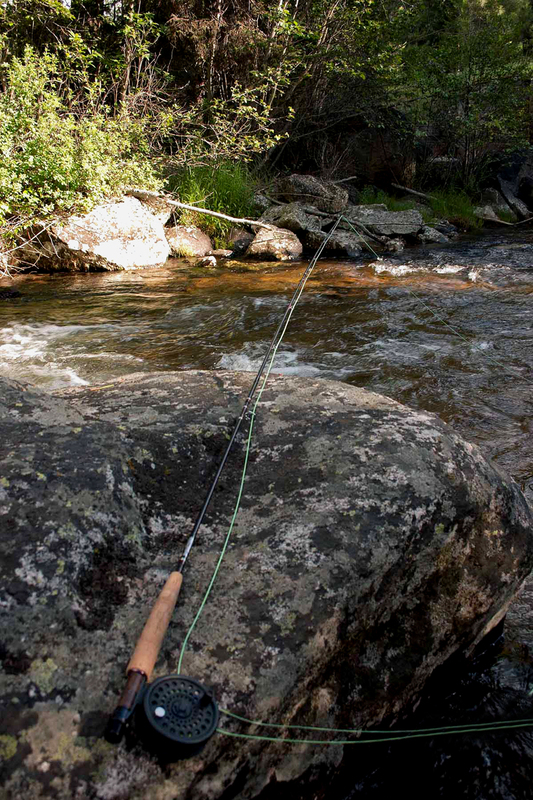 I own a TFO (Temple Fork Outfitters) 9 ft, 5-weight that I am very happy with, but I thought I might like to try something a bit smaller for some of the mountain streams I had in mind. 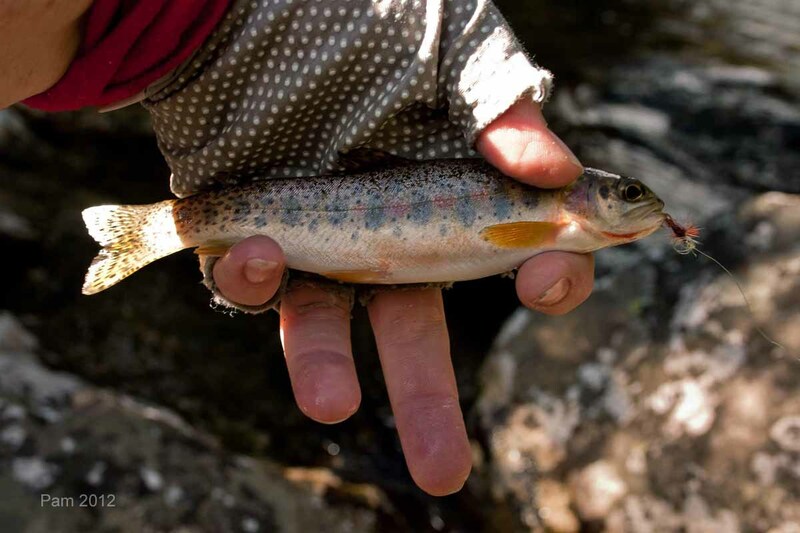 As I am sure is the case with most fly fishers, I have always imagined myself in the proverbial small and pleasant mountain stream, with a fly rod and trout itching to be caught. On dry flies as you would expect. 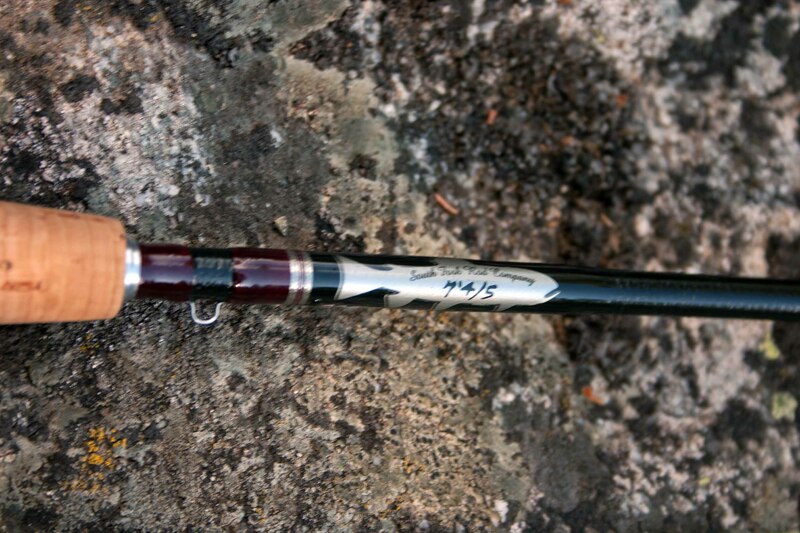 After a little discussion, Cameron sent a 7 ft., 4/5 weight rod built by the South Fork Rod Company. I opened the tube and found a beautifully finished rod, realizing at once that I was holding a rod builder’s truest art. I can see the beauty in the color of the blank, the wraps, and the smooth finish, but also felt an unfamiliar flexibility and different kind of power than what I am accustomed. I fished small creeks and streams in the Bitterroot Valley for three days. 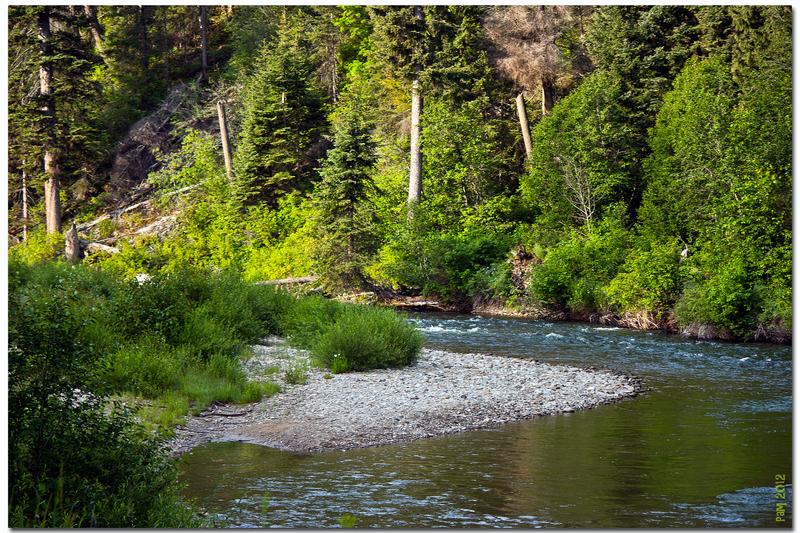 With the South Fork fly rod in hand, paired with my 5-weight, large arbor TFO reel (and a Willie-Joseph Surge pack for good measure), I wandered off in search of more private, serene locations where I could be alone with my thoughts and the water. 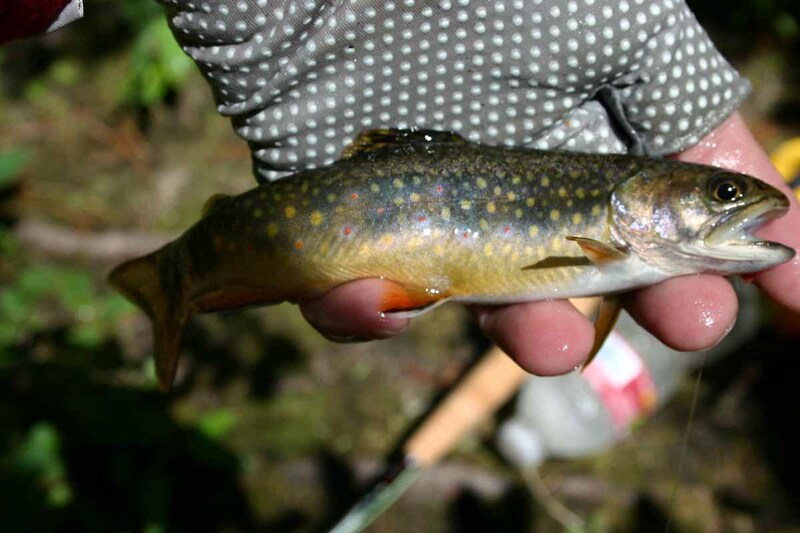 second and third days totaled 40+ trout, mostly cutties and browns, with the occasional brookie. I truly have no idea of the total number for all three days. my cast and performing the way I wanted no matter the distance of my target. I found glass to be very sensitive to even the lightest of bites, and a joy during the hook set and ensuing fight. every day of fishing is going to result in so much catching, I have to admit, this Mortenson guy knows what he’s talking about. Glass Is Not Dead! Important Note: I would be remiss not to mention that I had a very productive and most enjoyable two-day, guided trip down the Bitterroot River with Jack Mauer of Wapiti Waters. 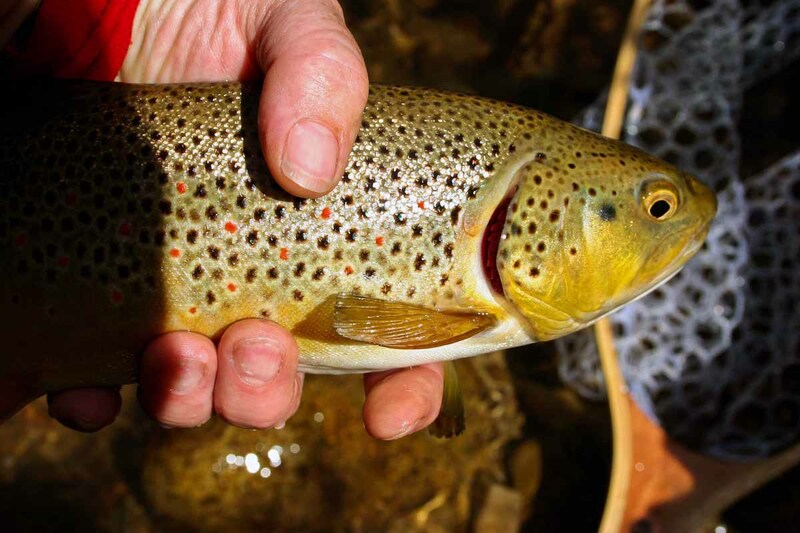 I was using my larger, 9 ft. TFO fly rod, which performed to perfection. I do not wish to detract from that spectacular trip by not mentioning it in the above post. I simply wish to savor it as a story for another day. It was afterwards that I began my quest to find skinny mountain waters. I seriously doubt my personal fishing time would have been so successful had I not received the instruction and insight Jack provided while we were on the water. He is a great guide and extremely amazing person! I love to catch trout. 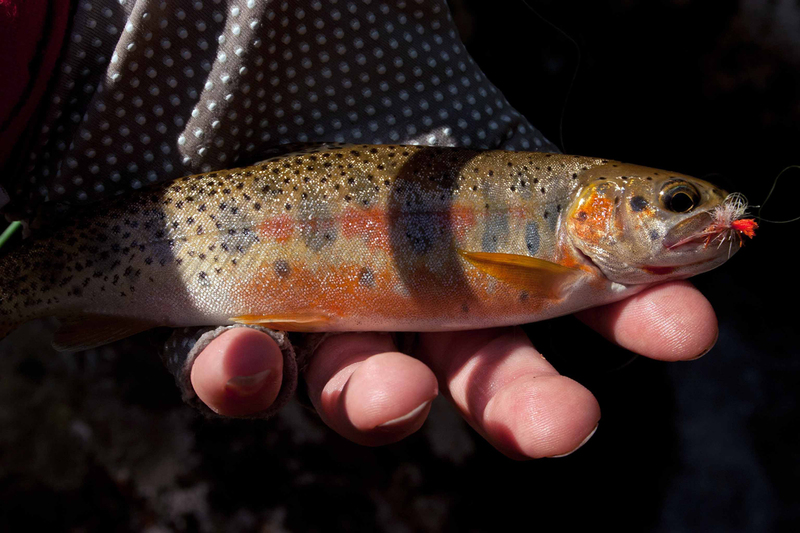 I’ve only been fly fishing for three years, but trout quickly earned the top spot on my list when it comes to my most enjoyable catches. Second only to trout, is the small mouth bass (especially on the fly). In many ways trout and smallies give similar fights, both fish being strong and aggressive. Both can be downright stubborn when it comes to coaxing them towards you, you have to wear them down enough to drag them in your direction. A friend of mine posted this video in a YakAngler.com forum that I frequent. In the video, a diver happens upon some bedding bass and the reaction is pretty astounding. After seeing this I realize how much of a fighter the small mouth is, and why I owe no apologies for their being such a close second on my freshwater fishing list. Smallmouth Bass Attack from John Flynn on Vimeo. 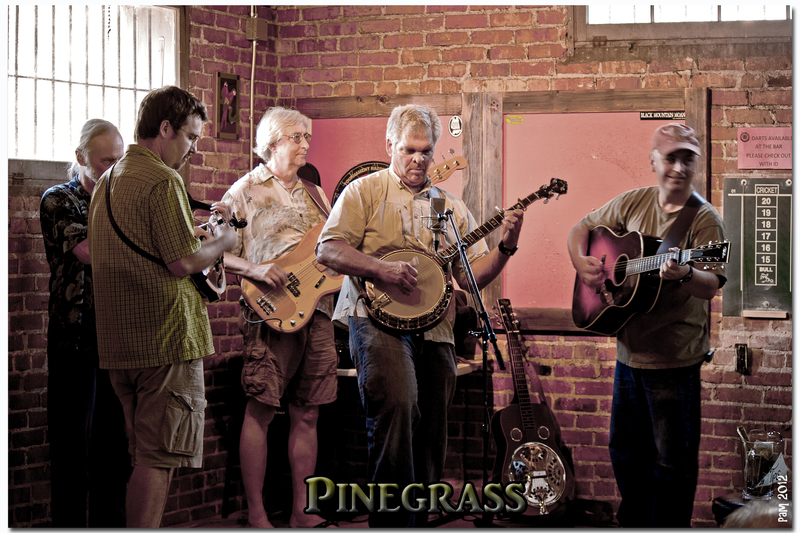 A few months ago I won third place in the Coleman® Heritage Essay Contest hosted by the Outdoor Blogger Network. 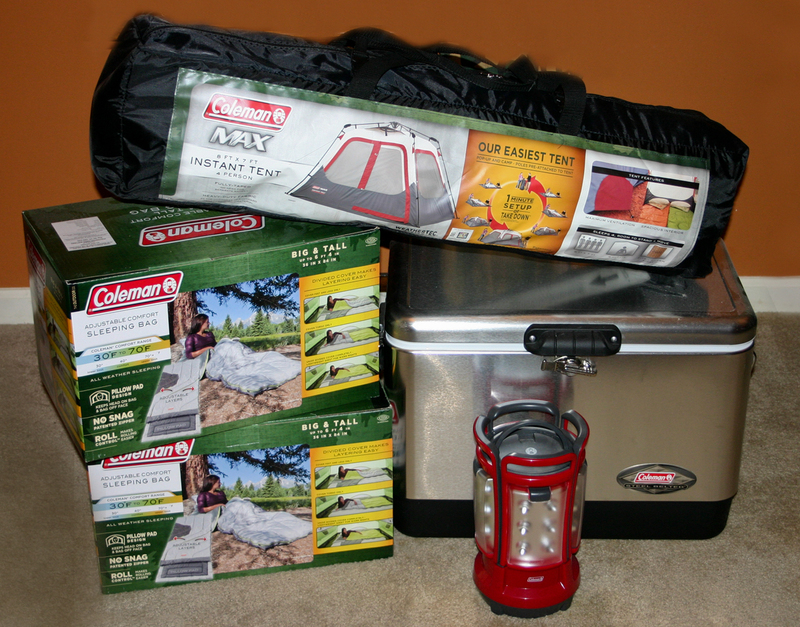 My prizes included the Coleman® Instant Tent 4, two Adjustable Comfort Big and Tall Sleeping bags, a Quad 4 LED Lantern, and a stainless steel 54-quart cooler. Needless to say, I am thrilled and honored to have had my essay chosen by the fine folks at Coleman®. I recently took a week-long vacation to the Bitteroot Valley in MT. I packed my old Coleman® tent since it packed flatter than the new tent (and the airlines wants a small fortune for each piece of luggage checked). I did however, take one of my new Adjustable Comfort Sleeping bags. 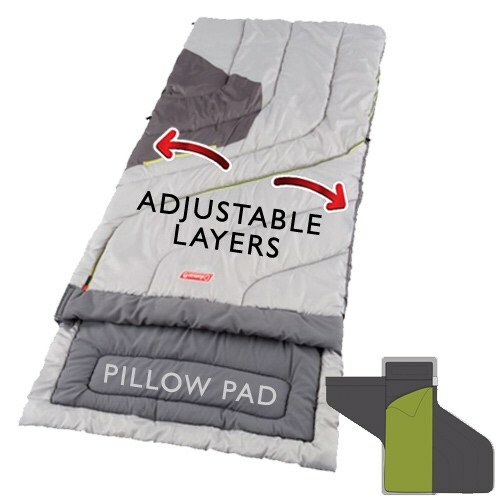 Coleman® got it right on this sleeping bag, just as they do with all of their gear. They included a sheet for an inner liner and zippers that give you several options to configure your bag for different levels of warmth. The Adjustable Comfort Sleeping bag boasts some of the widest comfort ratings in the industry with a range of 30°F to 70°F. The layering features of this sleeping bag made it very comfortable even for the changing conditions as the night progressed. When I’d first lay down at night it would be too warm for anything except a sheet. Then just like adding blankets throughout the night, as the temperatures dropped I would simply pull another layer on to stay toasty warm. On a scale of 1 to 10 I will rate the Adjustable Comfort an 9.5. Don’t get me wrong, for my uses this bag deserves a 10. I’m giving a slightly lower score for backpackers and others who need a very small rolling sleeping bag because it’s not that. However, I’m sure the pack-ability could be greatly improved with a good stuff sack to cinch the rolled bag down tighter. 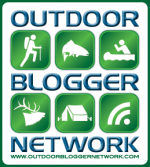 I will be providing reviews for the rest of the fabulous gear I won, and I’d like to again say Thank You to Coleman® and the Outdoor Blogger Network for providing us with the wonderful contest. 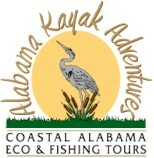 Keep a Pro Guide in Your Pocket!